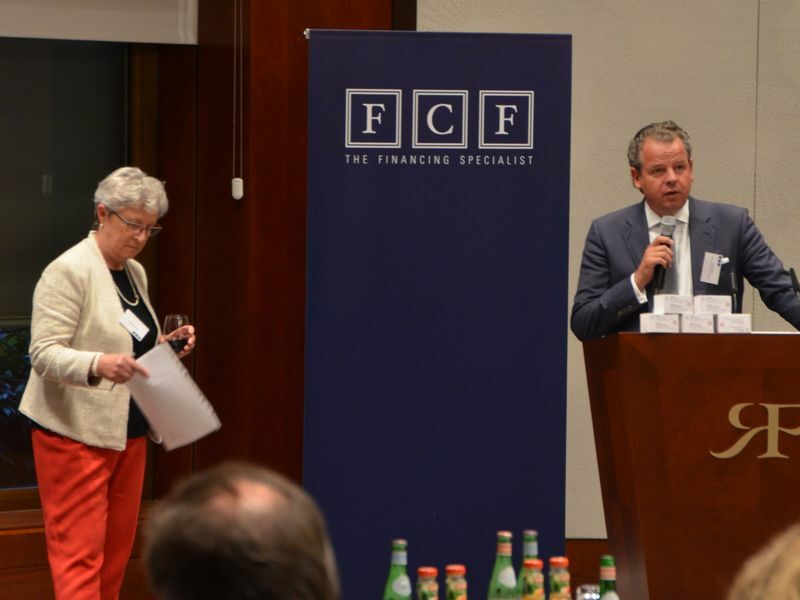 On October 18th 2017, FCF Fox Corporate Finance GmbH successfully hosted its 13th FCF Family-to-Family Day, an investor conference – with Gisela Stuart as a speaker. During the conference, the following companies presented to an audience of family office representatives and high net worth individuals: Mensch & Maschine AG – a leading European developer and provider of computer aided design / manufacturing (CAD / CAM), ISRA VISION AG – an intelligent systems robotics and automation company that transforms years of fundamental research into industrial progress, MagForce AG – a leading medical devices company in the field of nanomedicine-focused oncology, EQS Group AG – an international technology provider for digital investor relations, corporate communications and compliance, MTU Aero Engines AG – a German aircraft engine producer as well as numares AG, a non-listed, privately owned company developing and marketing products for clinical diagnostics and life science research. The day was rounded off with an exciting speech by Gisela Stuart, a former member of the British Parliament, on the topic BREXIT – A Challenge to Orthodoxy.